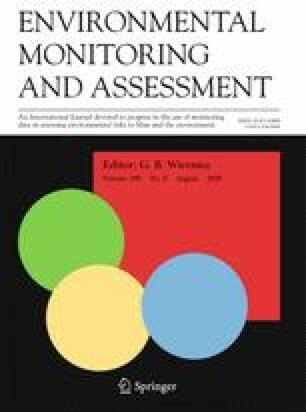 Advances in flow monitoring are crucial to increase our knowledge on basin hydrology and to understand the interactions between flow dynamics and infrastructures. In this context, image processing offers great potential for hydraulic monitoring, allowing acquisition of a wide range of measurements with high spatial resolution at relatively low costs. In particular, the particle tracking velocimetry (PTV) algorithm can be used to describe the dynamics of surface flow velocity in both space and time using fixed cameras or unmanned aerial systems (UASs). In this study, analyses allowed exploration of the optimal particle seeding density and frame rate in different configurations. Numerical results provided useful indications for two field experiments that have been carried out with a low-cost quadrocopter equipped with an optical camera to record RGB videos of floating tracers manually distributed over the water surface. Field measurements have been carried out using different natural tracers under diverse hydraulic and morphological conditions; PTV’s processed velocities have been subsequently benchmarked with current meter measurements. The numerical results allowed rapid identification of the experimental configuration (e.g., required particle seeding density, image resolution, particle size, and frame frequency) producing flow velocity fields with high resolution in time and space with good agreement with the benchmark velocity values measured with conventional instruments. The online version of this article ( https://doi.org/10.1007/s10661-018-6848-3) contains supplementary material, which is available to authorized users. All authors made a substantial contribution to this paper. S.F.D. carried out all the numerical analysis, processed the data, analyzed the results, wrote the first draft, and managed the manuscript iterations among authors. S.M. designed the experiment, programmed the codes for numerical simulations, contributed to the interpretation of the results and writing. A.P. contributed to the data analysis, interpretation of the results and helped in writing the first draft. L.M. and C. S. contributed to the interpretation of the results and improvement of the document. All authors contributed to the field measurements. This work has been funded by the COST Action CA16219 “HARMONIOUS—Harmonization of UAS techniques for agricultural and natural ecosystems monitoring” and was carried out within a scientific agreement between the Civil Protection Department of Basilicata, the Interuniversity Consortium for Hydrology (CINID), and the University of Basilicata to the start-up of the Basilicata Hydrologic Risk Center. AP thanks the support of the European Commission under the ELARCH program (Project Reference number 552129-EM-1-2014-1-IT-ERA MUNDUS-EMA21). This publication reflects only the authors’ view and the Commission is not liable for any use that may be made of the information contained herein.